The following show total receipts and approvals as of 08/31/2013. This update also shows the applicants by country. The following is the trend: Total applications received continuous to show a slow-down. Total number of applications denied continue to increase; number of applications approved continue to decrease. Data below was generated on September 10, 2013. Top 10 Countries of Origin: Asian countries include India, Pakistan, Philippines and South Korea. 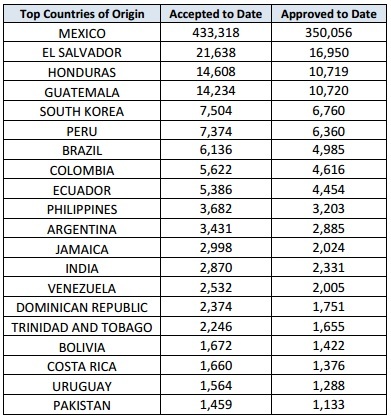 Around 76% of total accepted are from Mexico. 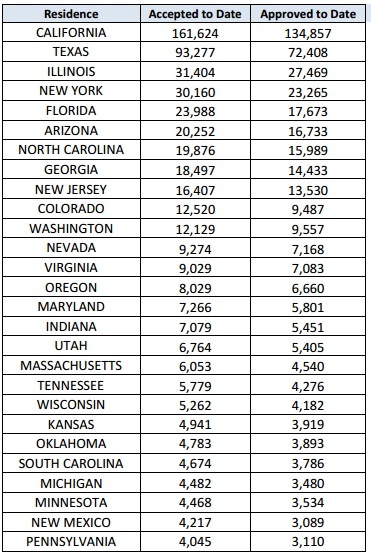 By State: California and Texas are the top two states for DACA applicants. 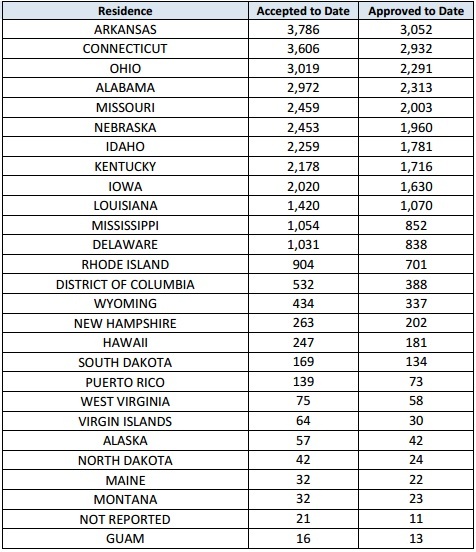 Maine and Montana are the two states with lowest DACA applicants.